Half sleekly clinical space-age white with reflective smooth screens, half organic heartfelt body and muscle and historical small streets and cafes, this track is a clear split, a love-letter to real humanistic flavours told with synthetic electronics, the hip shuffle of salsa bossa nova patterns exude through the syncopated piano that pulses cosmopolitan below the wonderful velvet vocals that skim warm richly throughout. 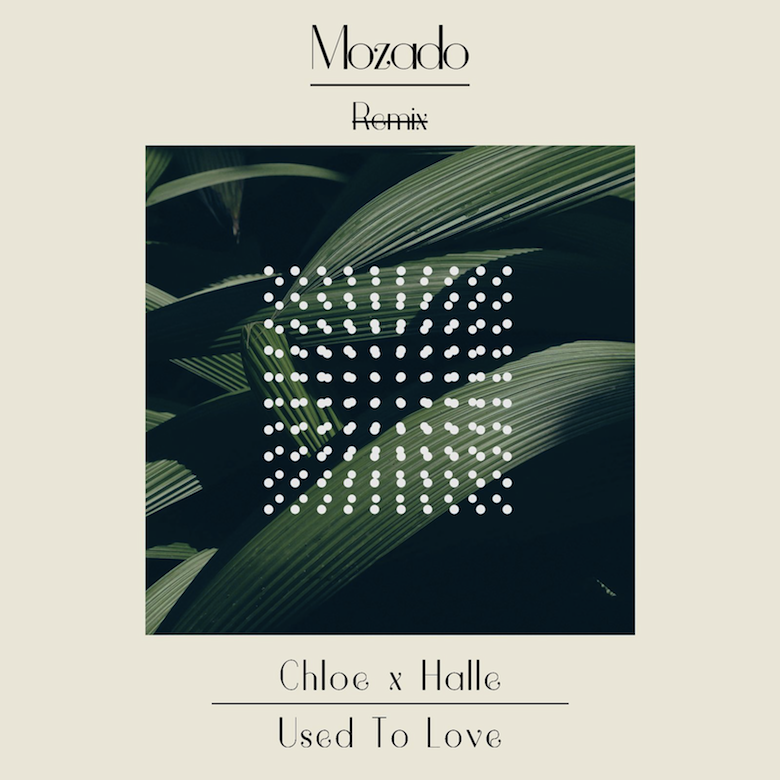 These are the voices of sister duo Chloe x Halle, this track being a remix of their song 'Used to Love', a gorgeous a cappella composition filled with sultry lilting lines thick with harmony, solo parts powerfully cutting through and soaring gutsy above these choral comforters, impatient spoken-word "ok…ok…" and handclaps perforating the languor with potential energy. But musicmaker and serial remixer Mozado, clearly seeing the promise of these incredibly endearing vocals, as well as the non-instrumental setting, turned this from an album intro light and airy as that time between asleep and awake, falling into slumber in the warmth of the sun, takes this feeling and through rhythmic permutations of Latin sashay and ticking trap brings out the bubbling energy of its heart, the powerful vocals now washing through the thudding beats that Mozado punctuates with luscious percussion chiming pots-and-pans tinkering and the warmth of the plasma synth matching the richly layered vocals, the hefty sub-bass, the dynamic of it all, this instrumental sliding along like a cloud-filled dream as much as it bumps and whips with pumping blood panache, this remix a vital reaction to the raw honest beauty of the original. 🔔 Mozado's remix can be downloaded for free via this little link here. 🔔 'Used to Love' is taken from Chloe x Halle's debut self-released mixtape, The Two of Us. You can listen to this collection of goodies on YouTube. In addition it can be streamed or purchased variously via this link.